The Friends of Bear’s Mill held their annual Fall Open House this past weekend. 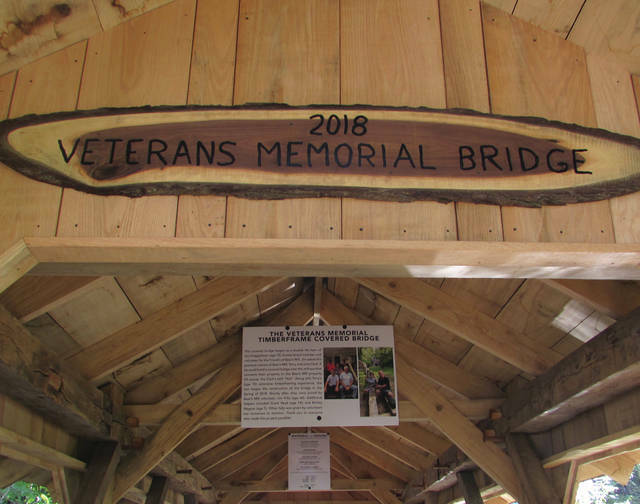 The event included the unveiling of a newly restored timber frame covered bridge dedicated to Darke County’s veterans. The Friends of Bear’s Mill held their annual Fall Open House this weekend. 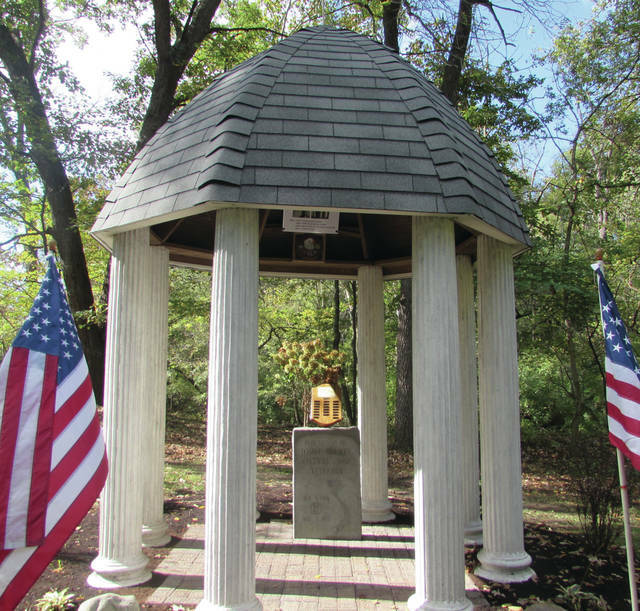 The event included the rededication of the site’s newly refurbished Vietnam War memorial. 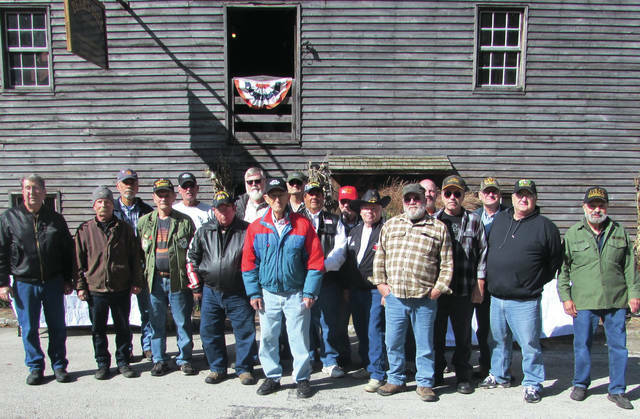 Terry Clark, former owner of the Bear’s Mill site and a Vietnam veteran, invited Darke County’s vets to stand for a group photo in front of the mill on Saturday afternoon. 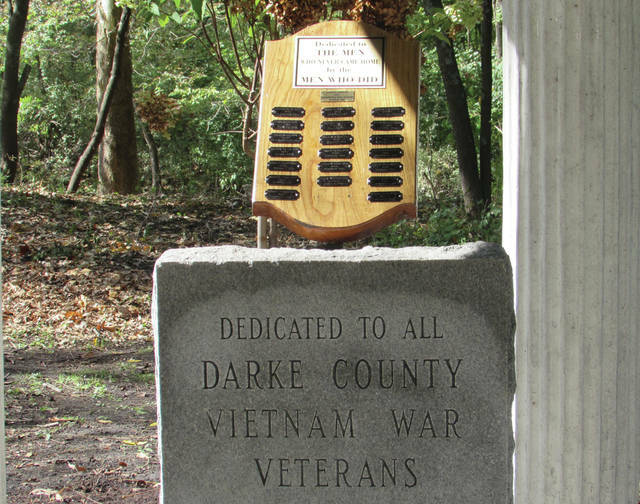 DARKE COUNTY — The Friends of Bear’s Mill held their annual Fall Open House this past weekend with refreshments, live music, a silent auction and the rededication of the site’s newly refurbished Vietnam War memorial, as well as the unveiling of a newly restored timber frame covered bridge dedicated to Darke County’s veterans. Clark once owned the mill and still works as the site’s miller and also worked with a five-man crew to restore the covered bridge near the back of the grounds. Clark enjoys talking about the history of the mill, including the fact that the facility produced flour for the northern war effort during the Civil War; in fact, it was closed down for three months in 1864, according to Clark, due to fear of a Confederate attack. Nearly a century and a half later, the mill would be used to grind flour for Iraq War veterans. The high-protein, low-gluten spelt grain produced by the mill, meanwhile, is not genetically modified and can be safely consumed by those with an allergy to gluten. “It was built to feed the people, and it’s still doing that today, 170 years later,” Clark said. Clark was especially proud of the covered bridge restoration, which was partially funded by local nonprofit The Light Foundation. Beams used in the restoration came from a barn built in the 1820s, he said. 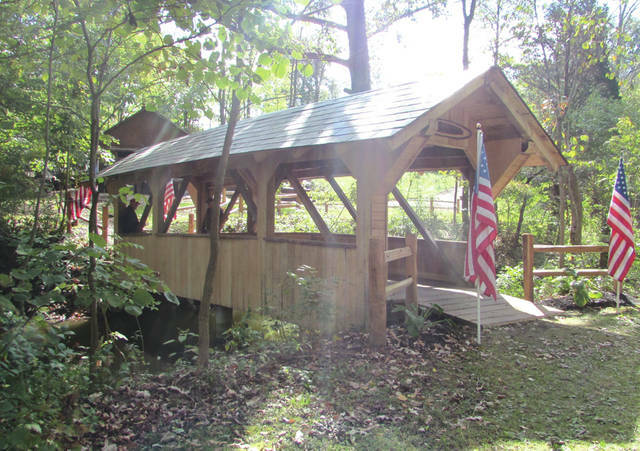 It is now the only timber frame covered bridge in Darke County. Bear’s Mill is one of the last operating water-powered mills in Ohio, a state which once laid claim to more than 2,000 such structures. Construction of the mill was completed in 1849. The 800-foot-long, 25-foot-wide and 10-foot-deep channel which carries the water that moves the mill’s turbines, in turn powering the machinery which grinds the wheat, was supposedly dug by school children working for 50 cents a day. The mill began operating Jan. 1, 1850. The site was placed on the National Register of Historic Places in 1975. The mill was purchased by Terry and Julie Clark in 1978 and is now owned by the Friends of Bear’s Mill, a nonprofit entity. The mill is open to the public four days a week during the winter months and six during the rest of the year. Corn, wheat and spelt, all grown locally, continue to be ground at the mill, and bread, cookies and other items made from these grains are sold in the Bear’s Mill store, which also includes an art gallery featuring photographs, paintings, furniture and other items created by local artists and artisans. Clark, a Vietnam veteran, also invited Darke County’s vets to stand for a group photo in front of the mill on Saturday afternoon. Only a fraction of the county’s 6,000 veterans showed up, he said, but he was still proud of the day’s turnout. “It’s a beautiful day, and everything turned out great,” Clark said. This entry was tagged Bear’s Mill, Friends of Bear’s Mill, Light Foundation, National Register of Historic Places. Bookmark the permalink.